"Much of the character of everyman may be read in his house". The definition of Interior Design Philosophy is the ability to create or execute an artistic plan based on a system of values. 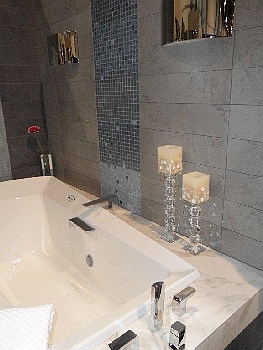 At Ultimate Kitchens And Baths LLC that philosophy is what drives the design of the environments we create. Good design is about comfort, timelessness, quality, the look of continuity and a sense of humor... all projected by the designer through the clients' eye. Our goal is to create a true reflection of your vision guided by your specific needs, personalities, and preferences. Our design approach assures that the process of designing your space is innovative, enjoyable and budget sensitive. We understand that there are many choices available that can and do make decisions difficult, but we enjoy making that process an exciting and rewarding experience for you. As an interior design firm, we take pride in that we do not have an identifiable "look". our attention to detail, the focus on quality craftsmanship and furnishings appropriate to the owner’s lifestyle. These environments are also comfortable, inviting and compatible with the architecture of the property.